AS 1851-2012 Amendment 1 has now been published. This amendment includes important new requirements for the provision of ‘baseline data’. If your fire protection service contract is up for renewal, you need to understand what these new requirements mean for you and your business. 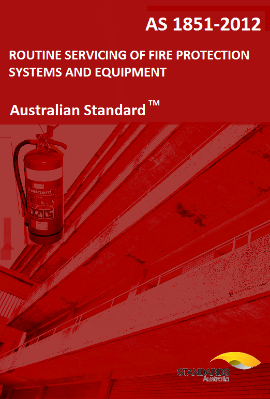 The new Amendment can be downloaded for free from Australian Standards Online upon registering. To assist end-users with understanding these new requirements, FPA Australia is holding a series of seminars in all states. You can sign up for these seminars via the FPA Australia Portal here. If you are unsure about where you stand with your fire protection service contract, FSS can assist in reviewing your needs, to ensure you are not paying for more than you need.